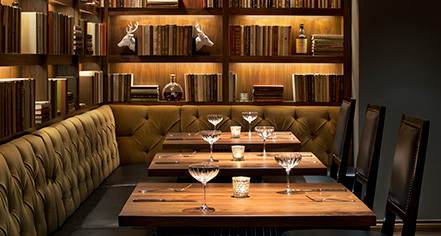 Fairmont Hotel Vancouver offers the magnificent Notch8 Restaurant & Bar in the hotel lobby. Notch8 is meant to inspire a new era of glamour in the city center. Featuring exceptional cuisine, delicious wines, and handmade cocktails in a riveting, lively environment, Notch8 is a classic Vancouver dining experience. New style combines with old world charm to pay homage to Canadian history and luxury travel along Canadian railway lines. Named after the top speed of a train, Notch8 presents naturally inspired dishes by Chef de Cuisine Will Lew. 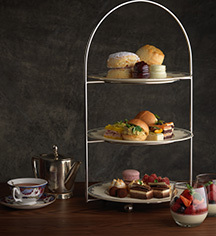 As a gathering place in Vancouver, this will be an electrifying part of any guest’s visit to Fairmont Hotel Vancouver. Monday - Thursday, 6:30 a.m. - 12:00 a.m.
Friday, 6:30 a.m. - 1:00a.m. Saturday, 7:00 a.m. - 1:00 a.m.
Sunday, 7:00 a.m. - 12:00 a.m.